Magento website management can be a tough task as it requires a lot of hard work and technical skills for even a small task. Even for the minor changes on your website, it’s required to be apt in the coding language for example, changing color, product name, product description, etc. similarly, updating all product prices on Magento can be a tiresome task. 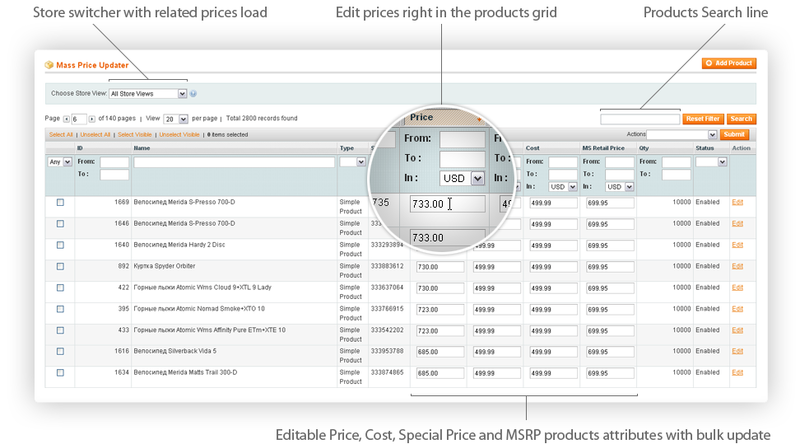 Thankfully, the Bulk Update All Product Prices Magento Extension makes the whole process easier. Simply install this extension on your Magento store and enjoy the comfort of updating all product prices in just one go using a few clicks. 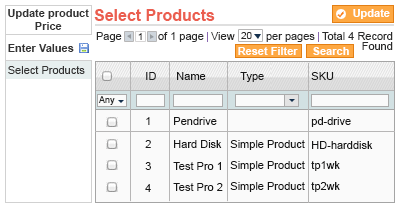 Store admin can easily choose to increase or decrease multiple product prices by simply using the flat value or percentage. For example, if you want to make available app products at a flat 20% discount, you need not to change price of each product. Simply use this extension and choose to “reduce price by percentage” at once and all product prices will be reduced by 20% instantly. This Magento extension is specifically designed to make Magtno store handing an easier task for the store admins by allowing them to update all product prices in a single go. Update bulk prices by special price which is the standard special pricing if applicable.